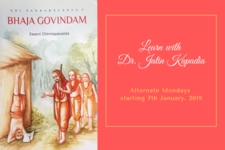 COURSE Bhaja Govindam - by Adi Shankracharya, is a great book that shows us how to remove all our sorrows and afflictions of samsara. 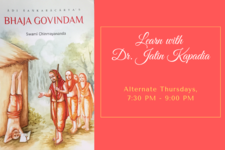 Dr. Jatin Kapadia ji brings with him over 15 years of experience in teaching Vendanta. He also just completed the 2 year residential Vendanta course at Chinmaya Misssion Trinidad and Tobago.